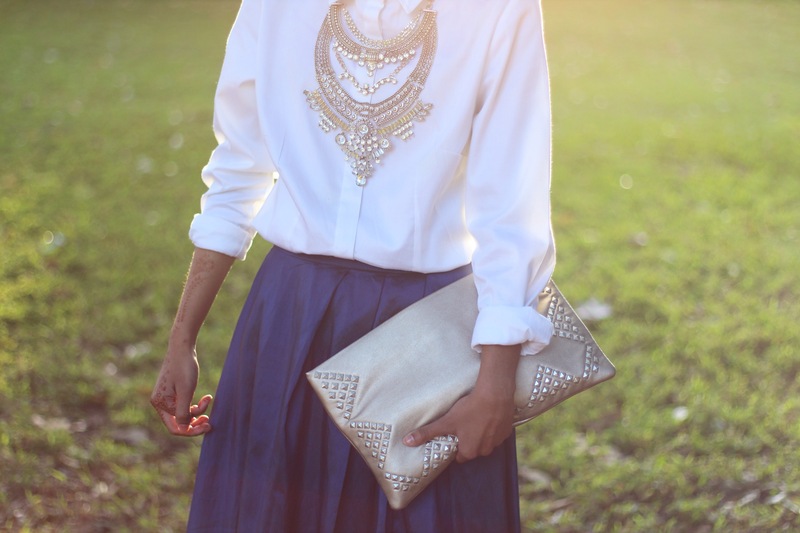 This year, for Eid, I decided to wear this really cute dark blue skirt paired with an off white shirt along with a silver statement neckpiece, silver studded clutch, silver heels and a blue scarf. 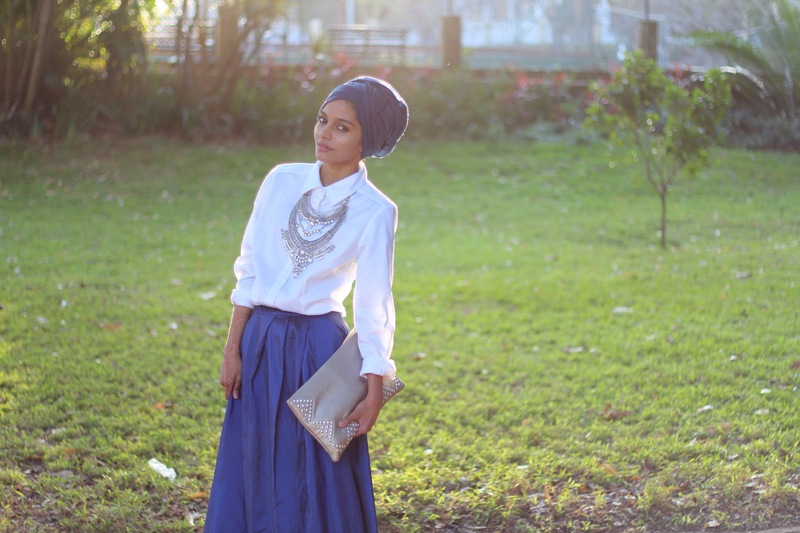 I purchased the skirt way back in April with the intention of wearing it for Eid. 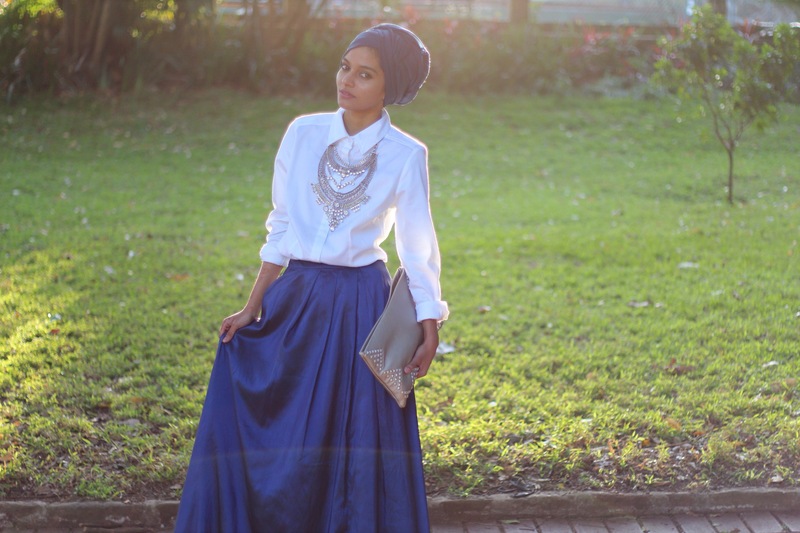 However, during Ramadaan I changed my mind a few times and wasn’t sure if I would wear it or not. Eventually, I decided to wear it and I’m so glad I did! I particularly love the styling of the skirt and find it very elegant and girly – it’s one of those pieces that really do make a statement. 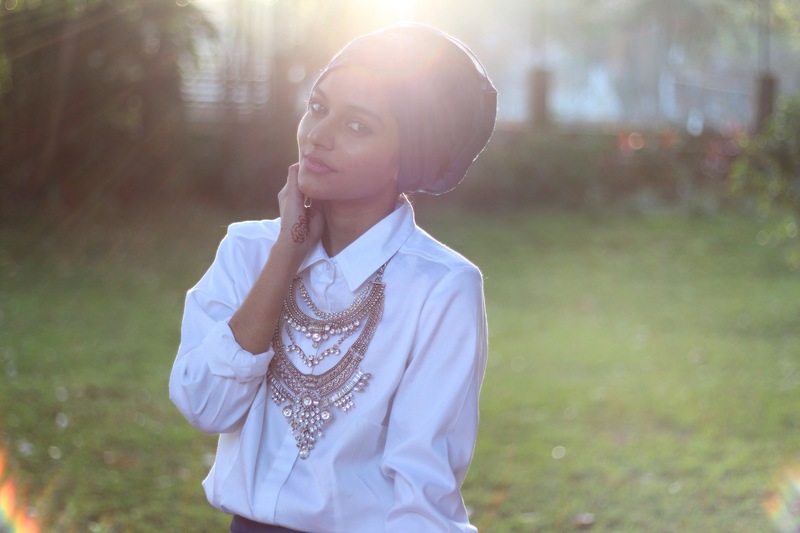 Do you know how difficult it is to find a white-ish shirt for women? It’s honestly ridiculous. I went into basically every single store and couldn’t find the shirt that I wanted – stiff collar, pocketless and hidden buttons – all of the shirts really did look like school shirts. 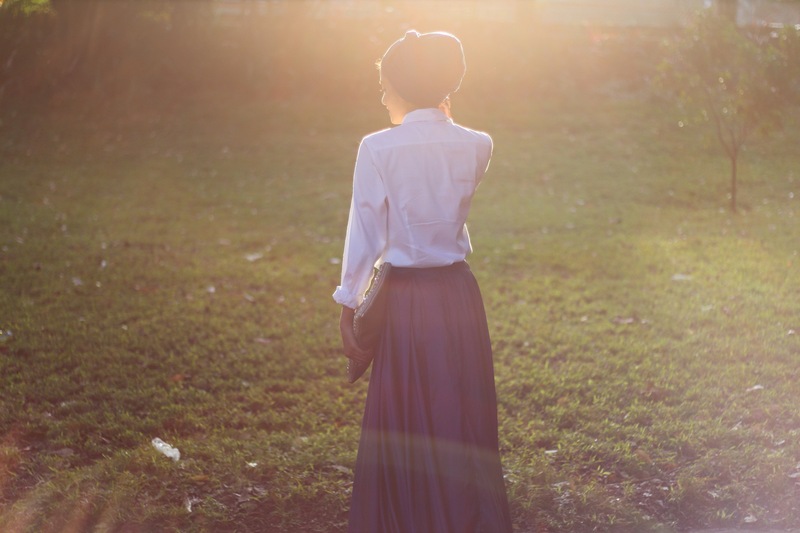 Finally, I found this shirt which I absolutely adore and which goes perfectly with my skirt. It’s two sizes bigger than my normal size, but desperate times call for desperate measures, so I made it work. 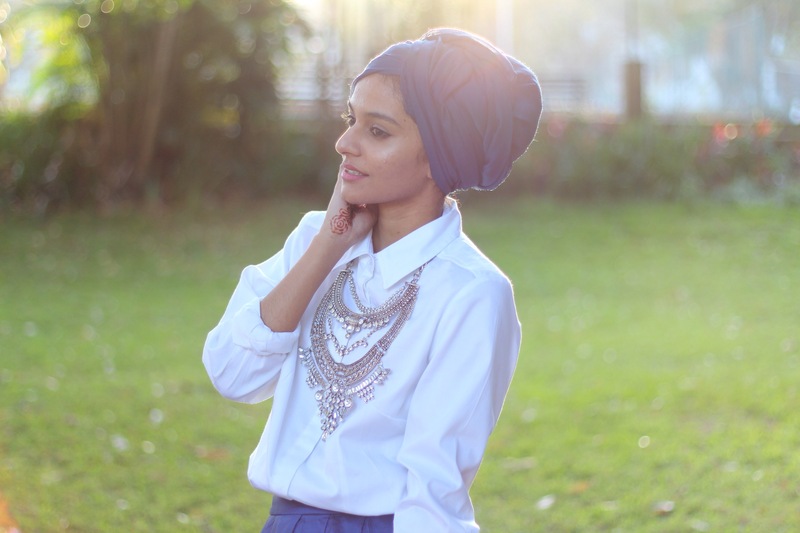 For this post, I styled my scarf in a turban, however on Eid day I wore it like a normal scarf. I opted for a plain blue scarf, instead of a printed one, as I felt that it fitted in better with the ‘Opulent Elegance’ theme that I was trying to achieve. 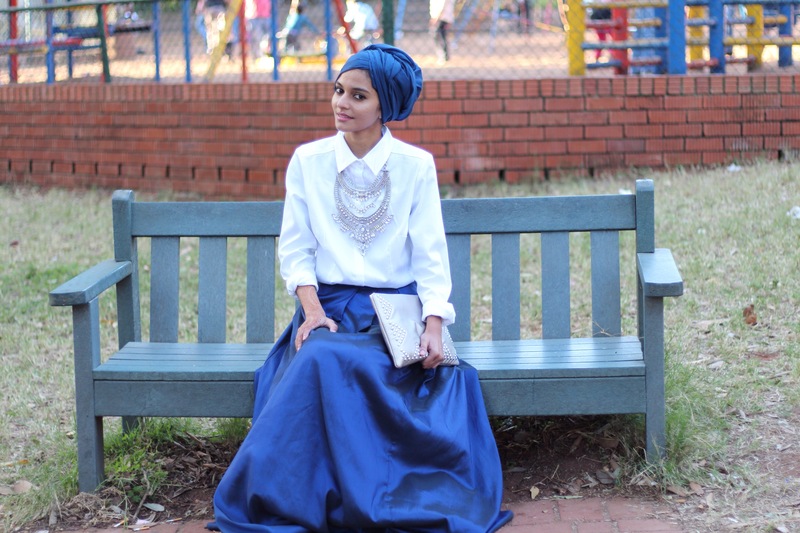 The scarf is actually a ‘Maxi Hijab’ from http://www.Hijabi.co.za but when folded in half, works great as a turban and the fact that it’s super soft and non-slippery ensured that the turban (and the scarf on Eid day) stayed on my head without any pins securing it in place. My necklace was definitely the focus of my entire outfit. 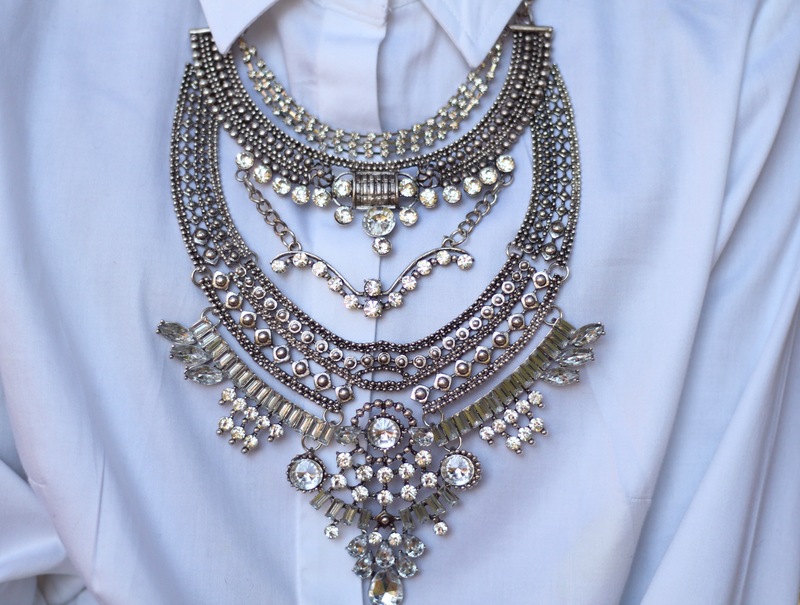 The multiple layers of the necklace helped it to stand out against the clean, white background of my shirt. I’ve been obsessed with this necklace for ages now and so glad that I’ve finally got my hands on it! 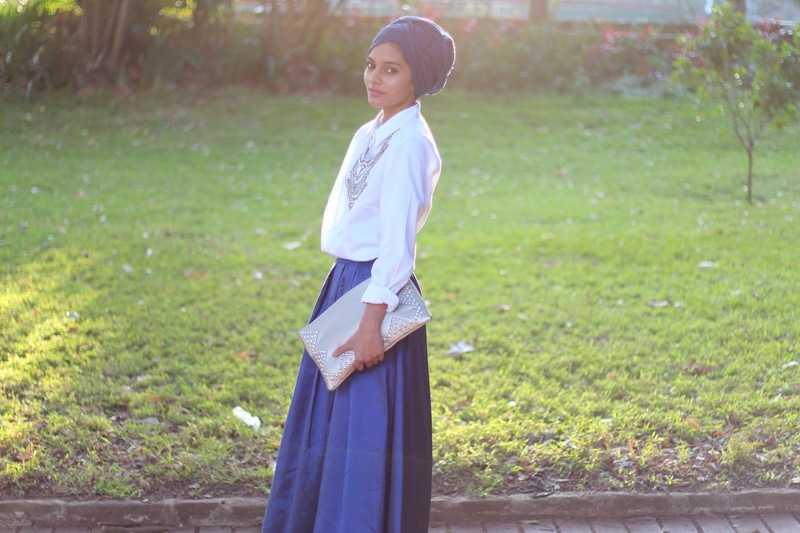 My heels and clutch really helped tie the whole look together and really complemented the blue hue of the skirt. Overall, it was a great Eid spent with wonderful people whilst looking good too – I really couldn’t ask for more!